I was born on a state-run farm in mainland China, where my parents were exiled during the Cultural Revolution. Despite poverty and isolation, the farm provided me with boundless freedom and joy. In 1985, my parents left the farm, bringing my four older brothers and me with them, and settled in Nanchang, capital of Jiangxi Province. After graduating with a bachelor’s degree in Chinese Language and Literature from Sun Yat-Sen University, I went to work in Shenzhen, the first Special Economy Zone in China, transformed from a fishing village to a bustling metropolis in ten years. During my three years there, I held varied jobs and traveled extensively, witnessing the unprecedented economic boom, as well as the exploitation of workers from poor provinces and the countryside. A scholarship from Stanford University brought me to America, and after earning an MA in Mass Media Studies, I joined Yahoo!, a Silicon Valley-based Internet company, where I worked in market research and editorial for more than seven years before devoting myself to writing. My short fiction, besides being anthologized, translated, and nominated for the Pushcart Prize, has appeared in GRANTA, The MISSOURI REVIEW, PLOUGHSHARES, ASIA LITERARY REVIEW, and elsewhere. Other than writing fiction, I have reviewed books for THE SAN FRANCISCO CHRONICLE and blogged for PLOUGHSHARES. I write in both English and Chinese, and often translate my own writing between the two languages. 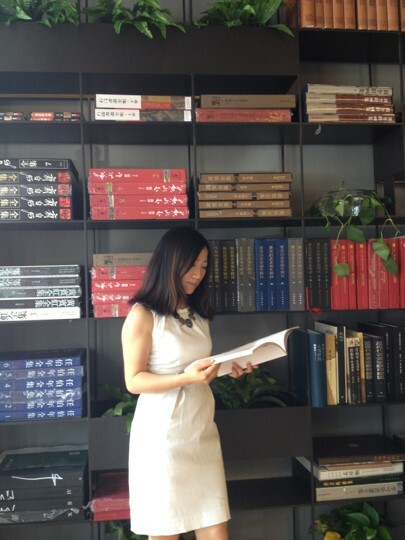 I love books and am passionate about introducing more Chinese voices to the West. I played a key role in establishing the inaugural Southern International Literary Festival & Publishing Summit in China, where I was a main speaker and a panelist. I have served as a consultant to the London-based Thames & Hudson in its work with major Chinese publishers. I’m a proud volunteer at The Mothers’ Bridge of Love (MBL), a UK-based charity connecting adopted children in the West with their birth culture in China, and helping poor children in China with access to books and education. As a trustee and team leader at MBL, I work with many caring and talented volunteers all over the world, to whom I owe a great deal of thanks. I live in the San Francisco Bay Area with my husband, two young children, and two cats. Other than completing a new novel, I am also working on a nonfiction book and a short story collection.